Holdman Rd, had been swept and was in fine condition. Reith Rd, going from Echo to Pendleton, = poor road conditions just like always: gravel, potholes, few rocks. But no traffic, so I almost liked it. Idaho, P1 from Orofino to Kendrick. 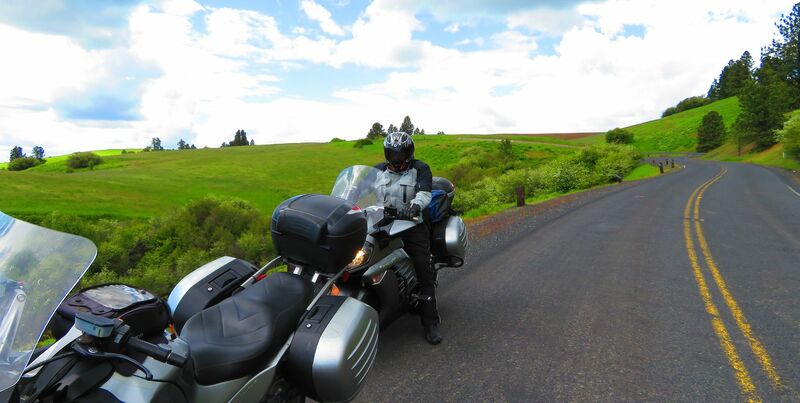 Very good on Sunday May 21, unlike 2 wks earlier for our Kamiah wknd ride which had light gravel for mile after mile. US Rte 12 for 25 miles west of Orofino, Idaho. Poor. Reports were that 24/6 repaving was off on Sunday let us attempt this route. Bad choice - 1PM Sunday had us at a pilot car road stop when an oil truck came up very slowly, did a 180 turn and re-deployed its oil spray apparatus again for the other lane. Jeez, I'm not going to wait in line for a chance to ride on fresh oil! Our 4 bikes did a 180 for a better route. The construction is supposed to be over mid-June. 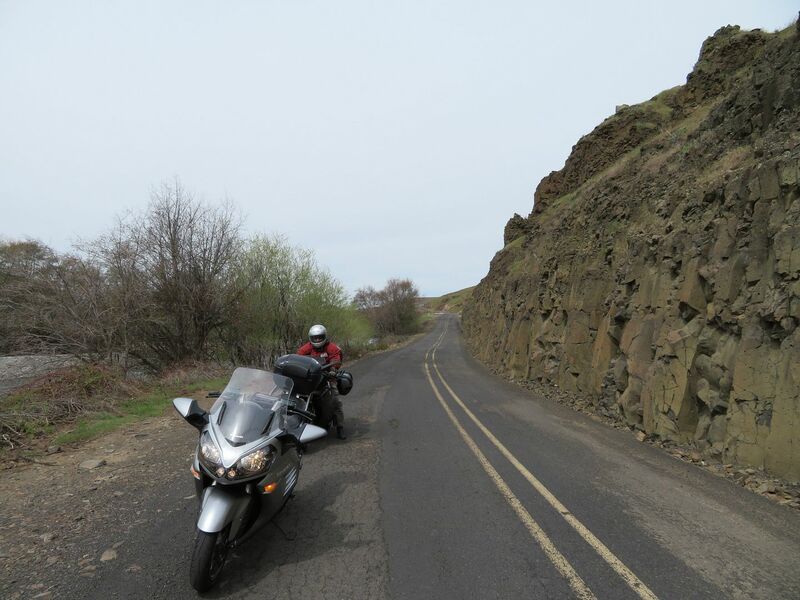 The road past Palouse Falls, WA, forgot the number, was excellent this weekend. WinDust Park just off the Pasco-Kahlotus Hgwy has good restroom facilities and was open on Sunday May 21, even though closed on the prior Friday. Strangely only one of the two entrances was open. Camping was active enough. In Oregon traveling from John Day to Baker City, the Austin House Junction restaurant/gas stop - has been open seemingly forever - is now closed. Had been a common stopping point halfway between the two cities at junction of route 26 and 7.